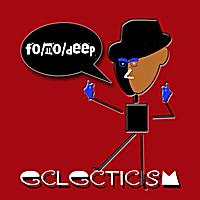 Come celebrate some of the best jazz funk grooves in Columbus at Dicks Den this Friday as local jazz groovers, fo/mo/deep hold a CD release party on their latest effort, “Eclecticism“. They will be performing all the songs on the CD as well as some fan favorites. You can buy the CD at the show or online here at JazzColumbus.com. Check out some of the samples online.